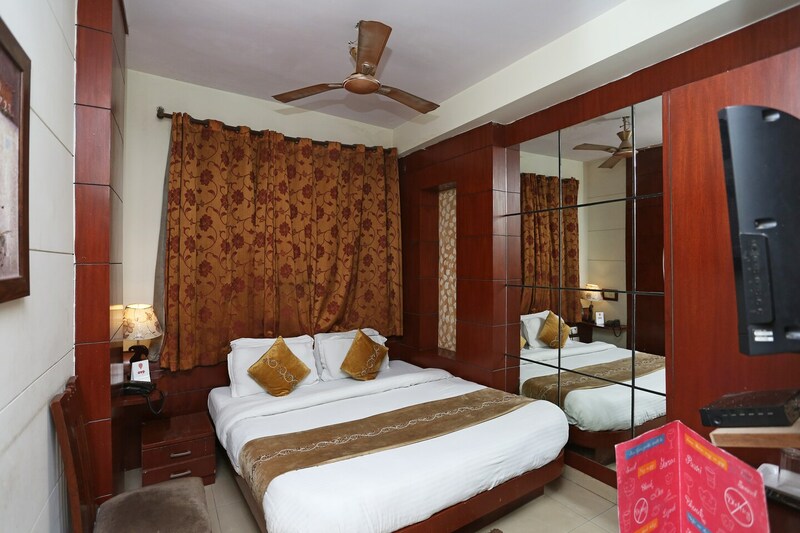 Hotel Presidency located in Arya Nagar, Paharganj, Delhi, is a sophisticated and cozy hotel. The property is close to Karol Bagh and Connaught Place - making it the perfect hotel for shopaholics.The property is located close to Dispensary Bus Stop and Gali Number 7 Bus Stop. The rooms have a regal touch and are adorned in dark red and gold. The hotel provides amenities like free Wi-Fi, AC, TV. It also has an elevator and power backup for emergencies.It is close to various popular restaurants like Darbar, Bikaner Sweets Corner, Pardeep Corner, Chawla De Mashoor Special Nan and Nand Di Hatti.